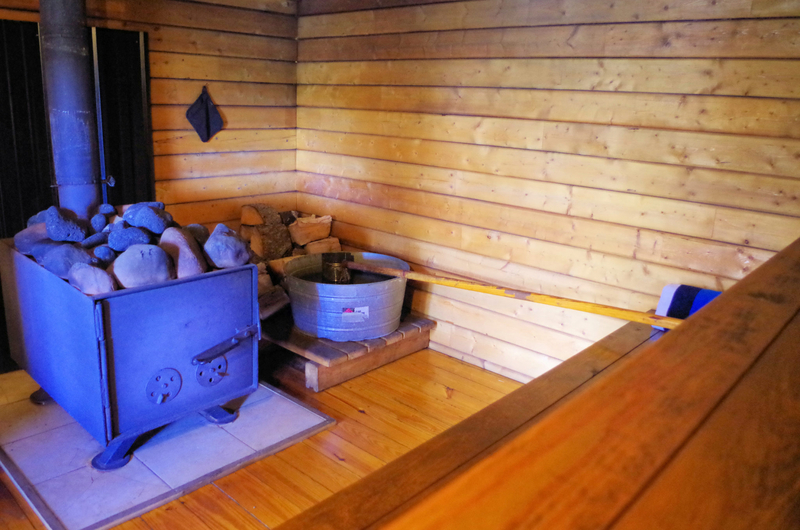 Our sauna is located on the river bank at the end of our boardwalk. From the sauna deck you can take an outdoor shower while enjoying the striking river views. The building itself is a traditional cedar cabin with a stove that heats river rocks. The seating area is fairly large and includes two levels of bench seats and a separate cooling room. 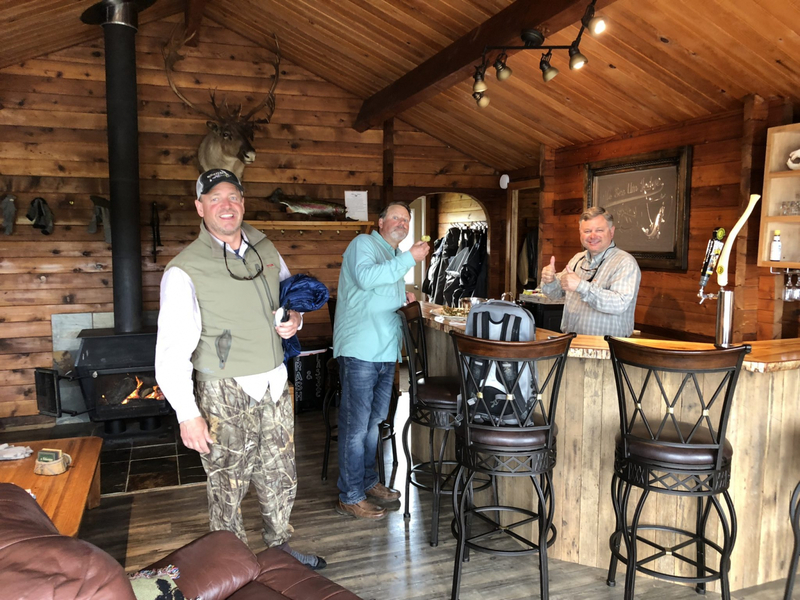 Many people find the sauna to be a great way to ease those sore muscles after long days fishing and with a little notice we will have it fired up and ready when your plane lands. If you are looking for a quick way to warm up after a cold day on the water, the hot tub is always on! Like all of the other buildings, the river view is important and from the hot tub you have a remarkable view of the river. There’s hardly a better way to end your day then having a glass of wine in the hot tub enjoying the uniquely Alaskan view. The lodge is powered by a generator and unlike many other lodges, we do not turn it off at night. We provide 24/7 power to our cabins. For those night owls and early risers, this allows us to continue to provide 24/7 hot water, television, and internet access in addition to keeping the lights on. We have wireless internet access throughout the property. This service provides email and internet browsing; however, our satellite-based bandwidth is limited and we are NOT able to support streaming services. Skype, Face time, YouTube, video downloads, webcam, streaming video, IP TV, IP based mobile phones or other applications that require large amounts of band width are not supported. 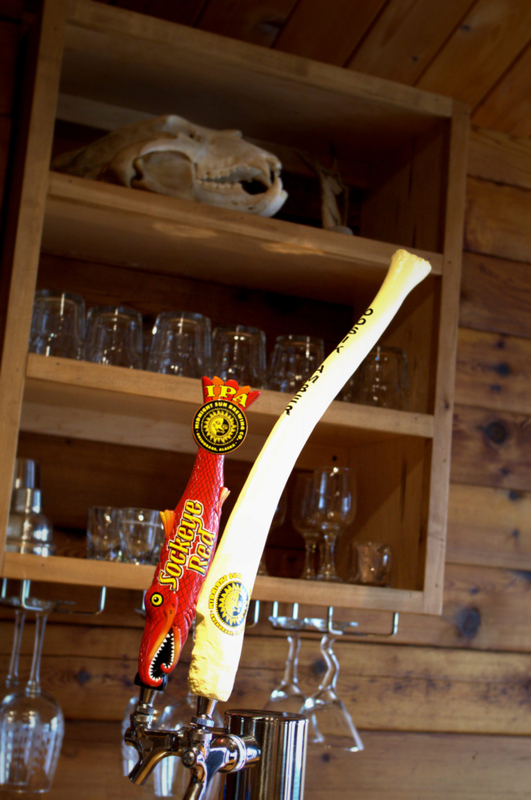 Your trip to the lodge includes a fully stocked open bar. We serve select red and white wine with dinner, and in your guest cabin upon request. A full selection of beer is always kept cold in the beverage refrigerator and on tap. 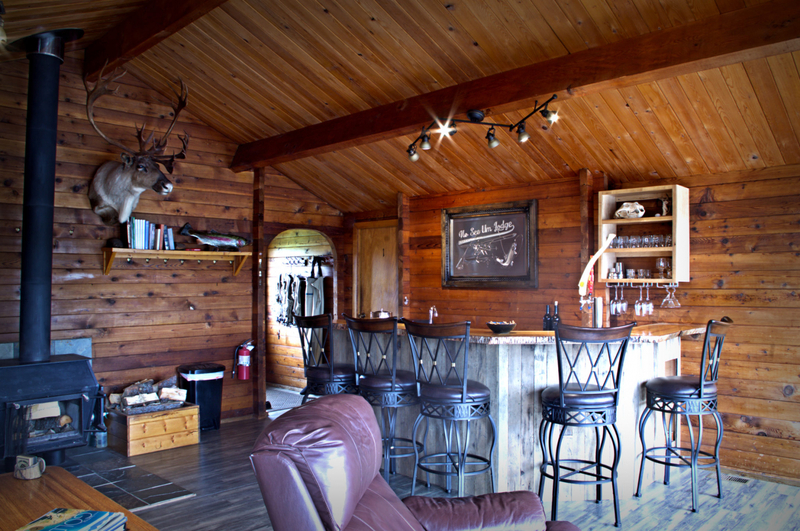 In addition, the main guest cabin bar is stocked with a variety of hard liquors. Whenever possible we try to provide Alaskan made products. Located in the center of the property, the gazebo is totally screened in with built-in bench seats, all centered around a stone fire pit. It’s a great place for guests and staff alike to gather outside in the evening and recap the day. 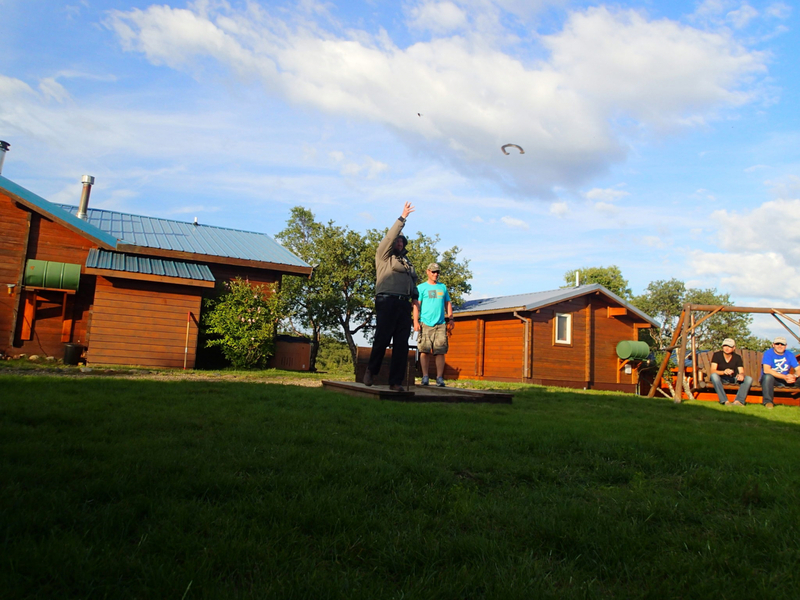 It’s also conveniently located facing the horseshoe pits, and makes a great place for spectators and cheerleaders. 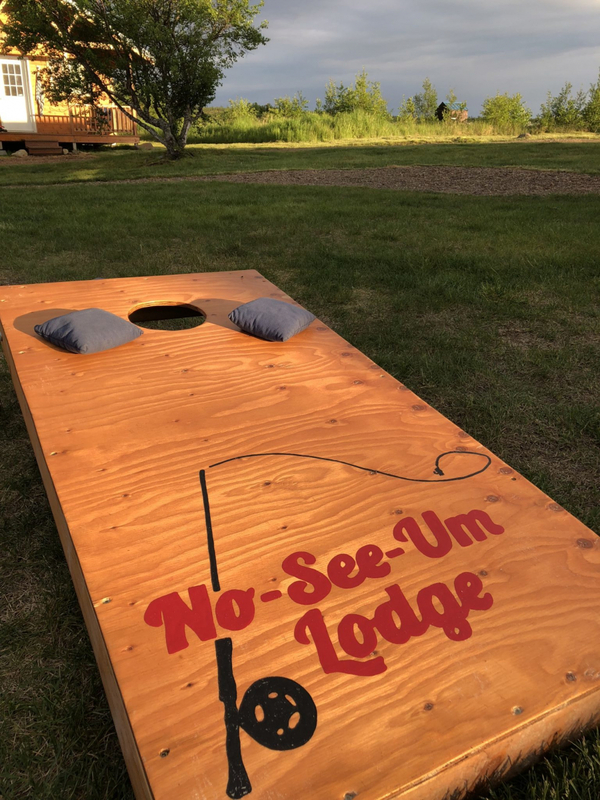 Many people come to our remote corner of Alaska to escape things like cell phones and TV, and for that reason we do not have TV’s in our guest cabins. However, if you don’t want to miss that big Monday night football game or want to keep up with the daily news we do have a satellite television located in our main lodge building.